How many aircraft in the A330 fleet have the new seats? What is the roll out schedule? When does the MEL-SIN service kick off? Which flight numbers on the PER-SYD and MEL-SYD transcon are currently serviced by the new product (as far as I can tell only one per day)? Has QF adopted a policy of blocking out the new product from reward seat redemption (it seems so on the days I want to travel across a broad date range in the "quiet" month of Feb)? At what point will the QF schedule match the VA schedule for lie flat product? I'm looking at doing a SYD-HNL later in 2015 - when will this route be serviced by the new product? As someone booking transon flights to PER over the next two months it looks like I am way better off sticking with VIRGIN AUSTRALIA with a guaranteed flat bed and giving QF a miss? Wouldn't you agree with that conclusion from the perspective of a frequent flyer? Finally, something less interesting than Media Watch. Five by March, 11 by August (both a mix of A332 and A333) - I'm told that the second A332 will be done end of Jan, the third end of Feb.
Qantas has previously said "mid-January", I'm not at liberty to share any more specific dates. Don't know (but with only one A332BS right now, it's not gonna be many). Don't know, and it depends on how many A332s Qantas has done by the time Virgin's A332 upgrade is complete. Qantas hasn't confirmed timing for any A330BS routes except MEL-SIN ('mid-Jan') and BNE-NRT (Aug 1). As someone booking transon flights to PER over the next two months it looks like I am way better off sticking with VIRGIN AUSTRALIA with a guaranteed flat bed and giving QF a miss? If you want the best transcon seat then yes, for now Virgin Australia will give you 100% on any given route. Many thanks indeed, David, for the heads up. Will be looking to fly BNE-SIN (and onto LHR) in June so fingers crossed they focus on the SIN routes as previously mentioned in AusBT. David, is there any mechanical linkage between the end of the seat, when fully flat, to the footstool that would eventually stop the seat end from sagging, as has happened with the Skybed IIs? I'm also interested in J upgrade availability with the new seats. Assuming you mean 'physical' linkage - i.e. the end of the seat sitting on the footstool - I didn't crawl around that end of the seat-extended-into-a-bed during my SYD-PER flight, but will see if I have time on my QFi flight to do this (without getting in the way of or alarming passengers!). I have tracked down the transcon flights with the new seating for a 2-3 week period in early/mid February. I cannot find a single award seat in business class, even on days when every other flight on a route does have plenty of award seat inventory. This raises the question of a strategy by QF of not releasing any award seats on the aircraft with the new seating (although this may not be the explanation). Others might find availability if my suspicions are ill founded. I am not paying $2,000 for a one way transcon just to try out a seat, so unless there is opportunity to use the current business sale fare of a little of $1000 from PER to AKL via east coast, the new seat will have to wait until the fleet has been substantially refitted and we are debating the norm rather than the rare exception. Such is the difference between the fanfare/excitement on such things generated by the highly effective QF PR machine and the reality for the frequent flyer. To be fair, who do you think that Qantas will be trying to target - upgraders or those paying for business class? I assume QF see a selling opportunity with these new seats (as said earlier). That makes the FF point redemption "charity" a certainty for the old seats. I agree with you David and og. I'm simply saying that IF they have decided to "block" the renovated birds it might be nice to know, if only to avoid wasting time tracking down the rare birds and searching for inventory, which simply doesn't exist. I do expect QF to be conservative in providing reward opportunities to their "loyal" customer base, which is why I'm happy to have spent my 800,000 QF point stash over the last 9 months and would use 17,500 AAdvantage points rather than >50,000 QF points to travel between PER and CNS with or without the new seating. In terms of revenue inventory, if I decide to pay for seats, now there is a new product, I would want to be sure of accessing it, given it is greatly superior to the domestic standard (accepting some flights may be Intl config) - there are two very different quality levels for the same price as the fleet transitions. 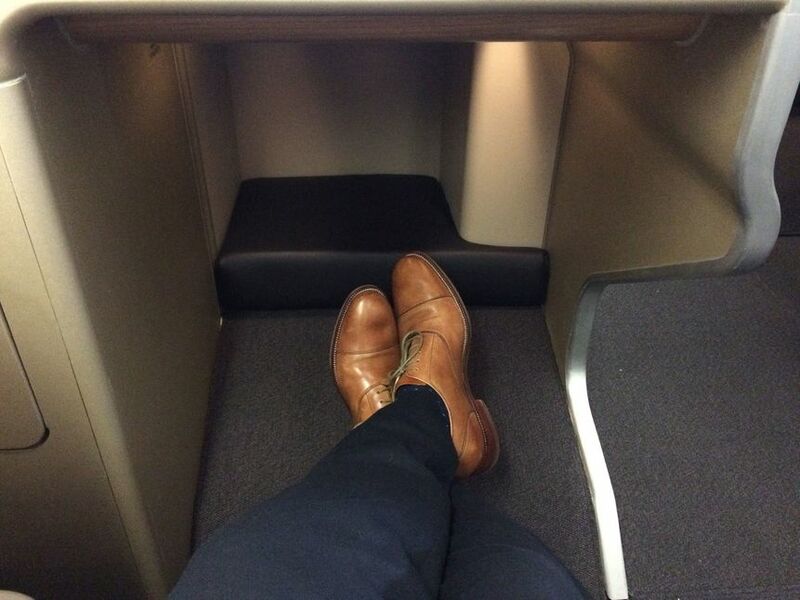 Otherwise, VA is the better choice for lie flat seating because it's on all flights. QF would never disclose if they did choose to do this.